A man who strangled his wife to death and then burnt her body has been jailed. 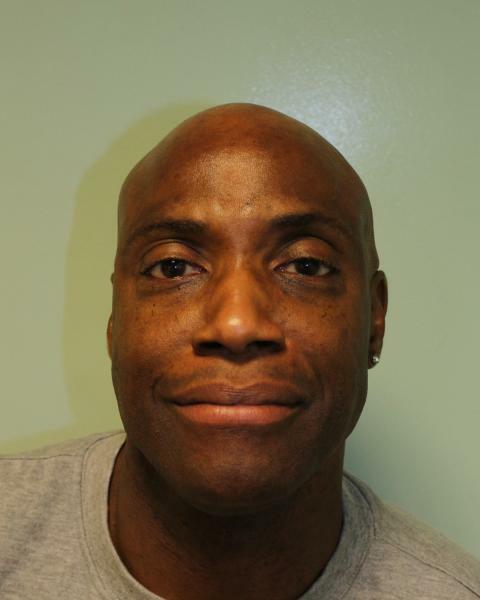 Thomas Peter, 50 (09.03.68), of Valentines Way, Romford, carried out the wicked crime on 2 August 2018 while his three daughters were still in the family home. 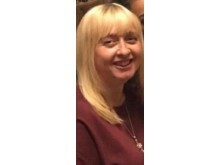 Peter was sentenced at the Old Bailey on Monday, 11 February to life imprisonment to serve a minimum of 25 years for the murder of his wife Karen Peter. He was also sentenced to seven years for arson being reckless as to whether life was endangered, to run concurrently. 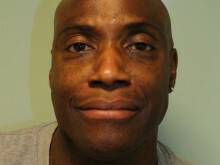 He was found guilty of both offences at the Old Bailey on Thursday, 7 February. Their eldest daughter, Imogen, said: “I find it hard to describe the devastation that blew our world apart on the 2 August. When they told us our mother’s body had been found inside the house, time stood still, frozen, people talked but nothing made sense. How can I describe in words our loss, the effect will be felt throughout our lives for the forthcoming years. When I think to the future it’s hard to imagine it without her. I will mum to walk through the front door and my heart aches when she fails to appear, a pain I’ve never felt before. I long for her to hold me, one more evening of cuddles on the sofa. I miss her smell. I searched the house for something of mum’s so I could hold onto her but everything was gone, destroyed due to fire damage, just like her, gone, no more. Karen’s mother, Marjorie McDonald, said: “I married Dennis McDonald 57 years ago and we had two amazing children, Daryl and Karen. Our son left us 22 years ago, he passed away at the age of 30. I visit his grave every week without fail. Karen and I supported each other through our bereavement. I could talk to Karen and we would relive childhood memories of her and Daryl. 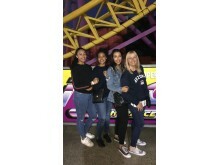 “Without realising it through the years we became inseparable. Karen would say to me, ’I don’t need a best friend mum when I have you.’ Karen would pop round most days. She would sit in the armchair by the telly, Dennis would sit next to her. So many times I would come into the room and find them giggling away to themselves, they were always laughing. Karen would turn up at all hours with the girls, I didn’t mind, I would always rustle them up egg and chips. We would sit around chatting and laughing, those memories I will keep close. “Nothing is the same anymore I feel lost and empty without her. I often look at our front door expecting for her to knock, for the phone to ring and hear her cheerful voice, to walk into the living room and see her sitting with Dennis laughing again but she’s gone and I miss her so very much. I long to hold her one more time. The court heard how Peter and Karen got married in 1994 and had three daughters together. However, in February 2010 - after Karen endured years of violence, controlling behaviour and Peter being unfaithful - she filed for divorce. They continued to live in the same house. But it was not long until Peter was unfaithful. Following Karen's murder, officers found messages on Peter's phone that showed he had been conducting a series of relationships with women after the re-marriage. 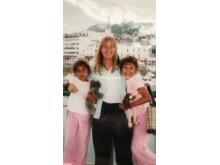 A few weeks before she was murdered, Karen told one of her daughters she was unhappy in the relationship. Friends described Karen as growing in confidence and being much happier with her saying 'I want my life back'. Karen confided in a friend that she had met 'someone special' but said Peter would 'kill her' if he found out. Karen arranged to meet her friend on 3 August 2018. She asked her to look after a bag for her and said she had so much to tell her. The court heard it appeared that Karen was planning a night away, possibly with the special someone. However, Peter had already grown suspicious that Karen had met a new man. On the morning of 2 August 2018, the pair's daughters, now aged 22, 20 and 14, were awoken to what sounded to them like a muffled scream from their mother, coming from their parents' bedroom. One of the daughters entered the bedroom and saw Peter on the floor. He kicked the door shut and locked it, saying he was naked and had hurt his knee. He also said he had wet the bed. When asked where Karen was, he said she had gone for a walk - a lie he repeatedly told that morning. The girls said their father was convincing and they called their mother's mobile phone. However, they became suspicious when they heard it ringing in the bedroom. Their suspicions were raised further when they found both the front and back doors locked and their mother's keys in the house. They kept asking Peter to open the door but he kept making-up excuses. He then asked them to put the bins out. The girls then heard the sound of something being dragged upstairs. They went to investigate and saw their father standing outside a rear bedroom. When questioned about the noise, he said it was a suitcase. They asked him to open the door but he refused, saying he had lost the key. He was asked to break down the door but he refused and walked off. One of the daughters then decided to call 999. When she got out her phone, Peter demanded that she give it to him, but she managed to go outside and call the police at about 06:45hrs saying "I think my mum's been strangled." All three girls were outside the house when they saw smoke coming from their parents' bedroom window. One of the daughters called 999 to report the fire while another went inside and asked Peter what was happening, he said he 'lit a candle and it had fallen over.' He tried to push her back down the stairs, dropping the keys to the bedroom as he did so. The daughter grabbed the keys and tried to get into the rear room, but Peter grabbed the keys back off her. Two bin men working in the area then came running into the house and told everyone to get out. Peter likewise tried to push them back down the stairs. By this stage, the daughter could see the fire in her parents' bedroom and smoke coming from the locked rear room. One daughter sought help from next door. Peter then told the neighbour that the 'kids are saying I've killed their mum, but I haven't'. He said that Karen had gone for a walk and repeatedly told the neighbour to go. Karen's parents arrived on scene and Peter again lied telling them she had gone for a walk and that he would not hurt her. The police officers who attended walked Peter to a police car and he sat in the rear where he said that Karen had 'been playing up recently' and had 'changed'. He said they had an argument and he lit two candles and she went for a walk. He then asked how his dog was, but did not enquire after his wife or children. He was then told his wife was dead and he was arrested on suspicion of murder. When cautioned he replied 'no, no, no, no'. He did not ask what had happened to his wife. The court heard that Karen's death involved having cloth forced deep in her mouth, probably to muffle her screams before Peter strangled her. The pathologist reported that the strangulation had been for a 'sustained and significant period'. Detective Sergeant Perry Benton, the investigating officer from the Met's Homicide and Major Crime Command, said: "Peter is an evil man and I am delighted he has been convicted and jailed and will face the consequences of his heinous crime. "This was a vicious and merciless murder carried out by Peter in the family home while his three daughters slept in nearby rooms. Peter's actions were sustained and deliberate, he meant to kill Karen. He then callously set fire to her body and the house in a bid to destroy evidence, also putting his daughters' lives at risk. "He lied again and again as to his wife's whereabouts and sought to prevent their daughters, the bin men, and the next door neighbour from intervening. "Throughout this whole period, Peter did not demonstrate one ounce of compassion or concern for his wife or children. "Peter refused to admit his guilt and has selfishly forced his daughters to re-live that awful morning at trial. "I cannot even begin to imagine what they are going through, but I would like to praise them for their immense courage and assistance throughout. I hope today's sentencing gives them some measure of comfort and closure. "I would ask the media to respect the family's privacy during this difficult and heart-breaking time. "Finally, I would implore anyone who is suffering or knows of someone suffering domestic abuse to call police immediately. I know it can be difficult to take the first step and make the call, but your call will be treated in the strictest confidence and could ultimately save someone's life."